A new Apple Watch app aims to keep your elderly family members safe. Called simply “Alert,” the app works as a panic button of sorts, allowing seniors or others who might need assistance a way to contact a caregiver for help with the touch of a button. Think of it as a high-tech version of those "I've fallen and I can't get up!" devices from infomercials of the past. For other great gadgets for seniors, check out: Best Tech Gifts for Seniors. If a user decides he or she needs help, they can initiate the app from the Apple Watch face and contact a caregiver who can provide them with assistance. Thanks to changes in the operating system that became available with watchOS 2, the app can also pay attention to physiological signals and suggest that seniors might want to request assistance before an issue actually becomes a problem. The app can come particularly in handy for those with medical conditions that limit their motor movement or speech. Pressing a button on your wrist is considerably easier than locating a phone, unlocking it, searching for an app, and then contacting your caregiver. Even if you don't normally have issues, if you're in the middle of an emergency that speed could make a huge difference. Also, if you have to go through a lot of steps and are stressed, then you might potentially have difficulties performing tasks like unlocking your phone, even though you might typically be used to doing so. The idea is to have the app mimic your traditional panic button. Many people with issues don’t want to wear panic buttons because of the stigma associated with them but they could benefit from their use nonetheless. With the app contained in an Apple Watch, seniors and others can get that same experience without having to wear something that signals to others they might have an issue. The app could be useful for not just seniors, it could be useful for those who have disabilities as well, no matter what age. Alert is available in the App Store and can be used on the Apple Watch as well as on the iPhone and iPad. Use of the app in general is free, with the basic plan including free text messaging to caregivers as well as three conference calls. If the app is something you find you continue to use, an upgraded subscription is also available for $9.95 per month that includes unlimited calls. Even without the app, the Apple Watch can be a powerful tool for seniors and others who need quick access to call a caregiver or emergency contact. 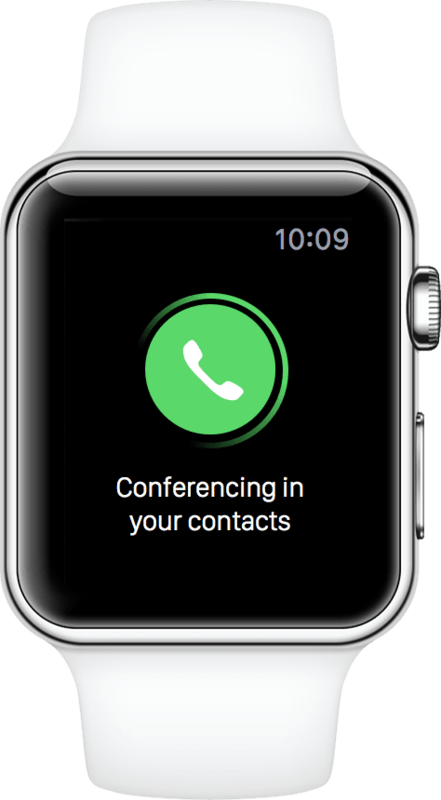 With the Apple Watch, for instance, you can put important contacts in your favorites and contact them during an emergency with just a few taps on your wrist, or even using Siri. That simplicity, and not having to “unlock” a phone or device before calling for help, can make a huge difference when an emergency is happening and you need to get help quickly. For someone who is in the middle of an emergency situation, those few seconds of speed can make a huge difference. It will be interesting to see if the app is able to help seniors over time, and what other similar apps we see come into the App Store in the future specifically designed to offer this type of functionality for those who need it. Does Your Elderly Relative Need a Panic Button?